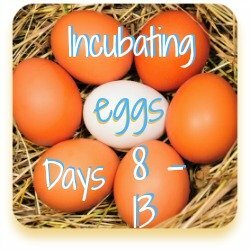 Hatching chicken eggs: your guide to days 1 - 7 of incubation. 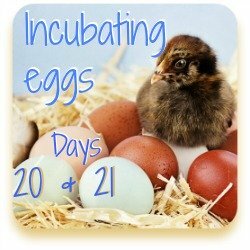 Incubating and hatching chicken eggs: your guide to a stress free days 1 - 7. 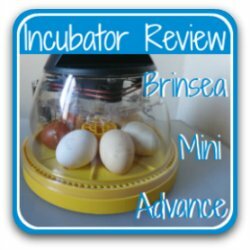 So you want to incubate and hatch but you're not sure what to expect? 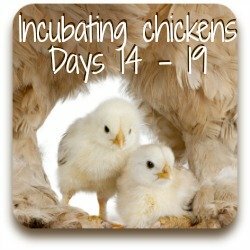 In this and the following pages I take you through the different stages from day 1 to hatching at day 21. We'll go step-by-step, slowly, carefully and with as much practical detail as you can take. This series is expanded in my hatching club course, where I lead you by the hand in even more detail through the process and invite you to join my Hatching Club Facebook page. ...and if - as I'm sure you do - you take it seriously, you can expect to feel two things: uncertain, and anxious. I certainly felt like that. It's only natural. But if you can, try to relax and enjoy the whole process. A mother hen goes through this without too much fuss. We'll use her as our role model as we take a leaf out of her book. Of course, things can go wrong. But if you've chosen and stored your fertile eggs wisely, if you're careful and you don't panic, all will be well. 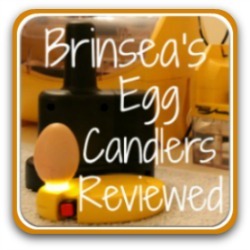 The candling pictures I use here and on the next pages are my own and follow one of my chicks right through from placing the egg in the incubator to hatching. This is what she looked like just a few hours after she'd hatched. Handling chicks from shortly after hatch makes them more trusting in later life. See the white tip on the end of her beak? That's the 'egg tooth' which chicks use to peck their way out of the egg. she'll lose it within a day or two. 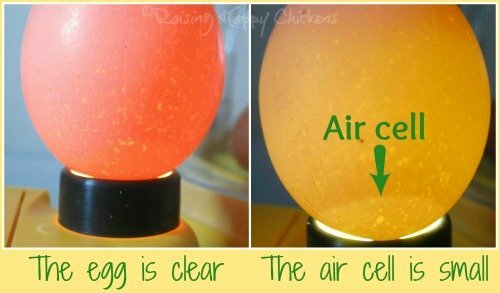 Hatching chicken eggs, days 1 to 7 : what's going on inside? The answer is - quite a lot. It may not seem like it, and you won't be able to see much of it at least initially, but ever since the egg was laid it has been developing. 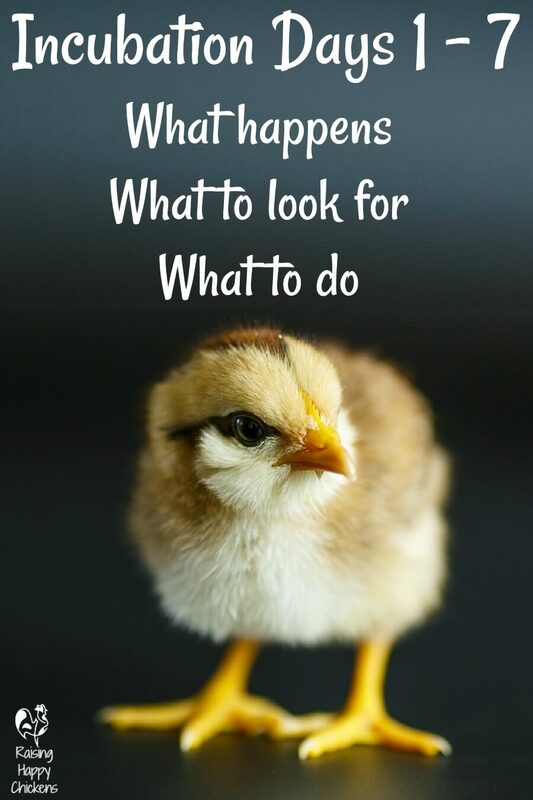 It will have stalled once the hen was no longer warming it, but make no mistake - if you have a fertile egg, development has already started before the egg goes into the incubator. Incubation kick-starts the process again. Days 1 and 2 of incubation see the start of growth for everything of huge importance to the embryo. The head, ears, eyes, spinal column, nervous system (including the brain) and heart begin to develop. By day 4 the toes and tongue have begun to form (yes, chickens may not have teeth but they do have a tongue!) and on days 5 and 6 the crop, reproductive organs and beak start forming and the wing can now bend. 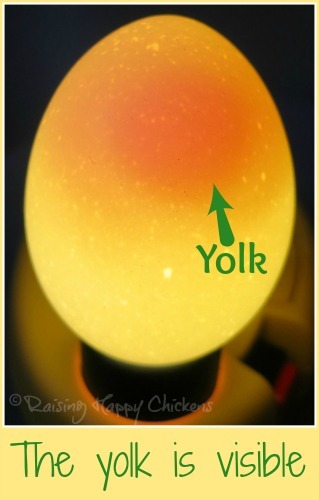 By day 5, you'll be able to see the chick developing when you candle the egg. 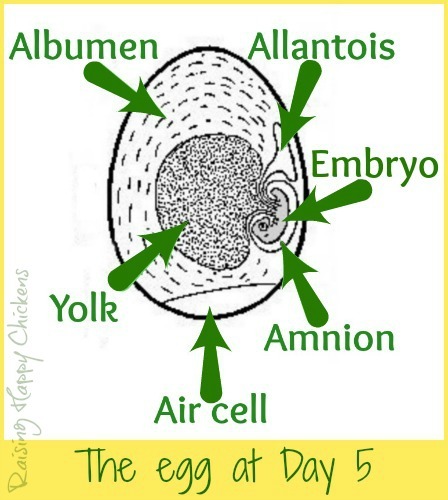 The allantois is part of what in a human embryo we would call the umbilical cord and is responsible for getting rid of waste as the chick grows. You'll quite often see be able to see it left behind in the shell after the chick has hatched. The amnion or amniotic sac is a membrane which surrounds and protects the embryo during its development. On day 7, the leg is able to bend and a ridge of 'papilla' or glands form where the the feathers will appear on the tail and thigh. By the end of this first week, your chick is one third of the way to full development. 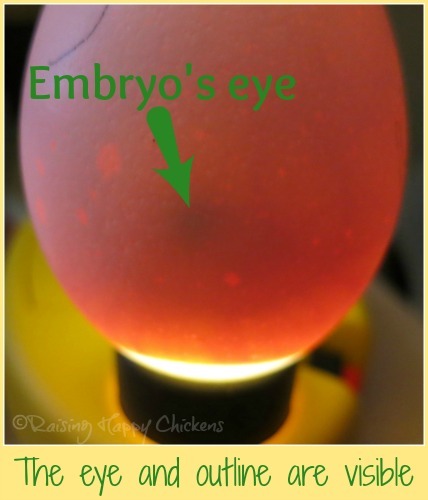 What can you see in hatching chicken eggs on days 1 to 7? The shell of the egg doesn't change at all on the outside until the chick is ready to hatch much later in the process, when she will start to peck through or "pip". Until then, if you want to see anything you'll need to invest in a candler - either home made or shop bought. Both are good as long as the light is very bright, and focused. Days 1, 2 and 3. There's really not much to see at this point. Initially the egg will look clear apart from the air cell which you'll see at the 'fat' end of the egg. As time goes by you'll notice this air sack become larger and it's here the chick will eventually hatch. From day 2 to 3 you'll be able to see the yolk of the egg. When I first saw this, I was hugely excited - I thought it was the embryo. That's how much I knew. 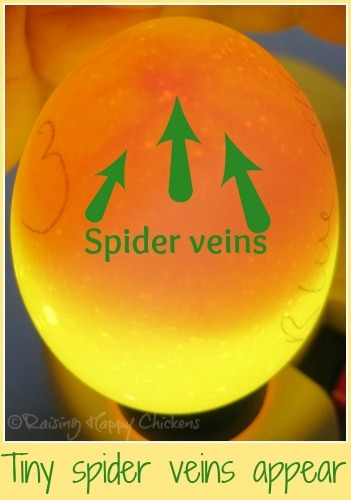 From about day 4 or 5 in a properly developing egg you'll start to see tiny spider like markings appearing in the yolk area when you candle your eggs. These are easiest to see in white or light-coloured eggs - in a dark-coloured egg like a Marans they're much more difficult to spot. This is the start of the embryo's visible development. The 'spider legs' you can see are the embryo's blood vessels, which will become much more well-defined over the next several days. The next few days see the development of the blood supply to the developing embryo, and the eye becomes far more prominent too. If you look closely, you can see the outline of the embryo developing - it looks like a darkish ring around the eye. Also notice at the bottom of this picture that the air cell has started to get a little larger. This too will become more obvious with time. That's it - you did it! You got through days 1 to 7 of hatching chicken eggs - well done! In a lot of ways, the first week is the worst. 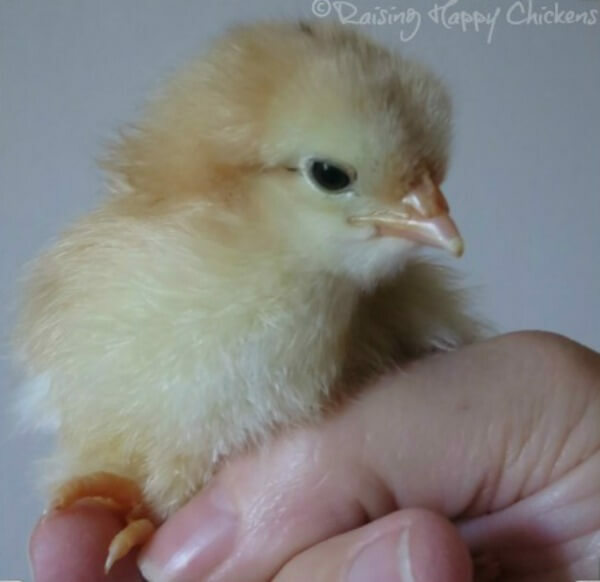 Once it's over you can see your chick developing and you'll also be able to tell whether you have eggs which are infertile and not going to develop. Next week, we'll watch as the chick develops even more, make sure we're keeping the right conditions in the incubator, and learn what to do with eggs that are just not developing. 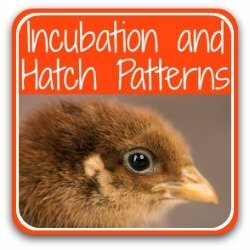 Join my Hatching Club for a more detailed view of the incubation process. If you've enjoyed the details on this page, you haven't seen anything until you've seen my detailed hatching course, only open to people who join my Hatching Club. 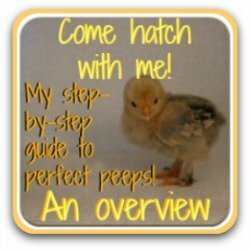 That series takes you step-by-step all the way through the process of hatching your own chicks, from the very first steps of deciding whether keeping chickens is a good thing for you to do, to choosing the right eggs, setting up the incubator, what to look out for during each incubation day, and finally the highs (and lows) of hatching itself. Click here or on the pic for more details and to sign up for my 2019 course, due to start in late May 2019. More incubating and hatching information.